Imagine a world in which there were no unnecessary tragedies— not because negative events did not occur, but because we recognize that these occurrences may have been necessary to open the way for some greater blessings to happen. 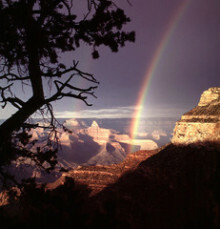 One of the greatest challenges in life is learning to see the benefits of seemingly negative or tragic incidents. It takes a great deal of courage to reframe old hurts or violations in a positive light. Sometimes it may take years before a tragedy can make sense in this context or fit into a more positive perspective. Even minor annoyances can sometimes generate grief, anger, and feelings of victimization. Without questioning the value of processing any painful experience, it can help, at some point, to step back and see how these experiences can serve a greater, more positive purpose. We forget our checkbook when we were already running late and notice, when we irritably run back into the house, that the burner on the stove was not completely turned off. We narrowly avoid hitting another car and suddenly notice an increase in our awareness and attentiveness on the road. An illness forces us to reevaluate our priorities, habits, and commitments, reminding us of the preciousness of every moment we have. 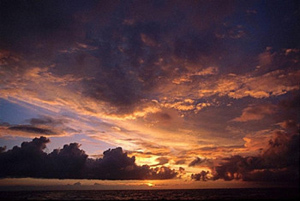 A death or a loss brings greater connectedness and understanding among family members, communities, or even nations. For example, we realize, often at the end of a long and exhausting process, that we are more aware and responsible for our own safety as a result of an accident or attack. We are better able to stand up for ourselves, make our own decisions and function confidently and independently after losing or leaving a controlling partner. We are more willing to take greater creative risks having experienced disappointment, embarrassment, or failure—and lived to tell about it. We use our reaction to criticism or insults to alert us either to behaviors we need to change, people we need to avoid, or a craving for approval we need to examine. We are intensely and consciously more supportive, loving, and nurturing to our children as a direct result of early abuses we suffered and do not wish to repeat. We’ve been confronted with information and experiences that have forced us to rethink previously unquestioned behaviors and, in many cases, make more conscious decisions about how we treat our bodies, interact with one another or impact the environment. When we can believe that all things happen for the greatest good, we position ourselves to forgive, to release the burden of our pain and fear and to be of greater service to ourselves and others. We stop hating ourselves for addictive or destructive behaviors which may have kept us alive until we had the strength and support to make more constructive choices. We celebrate a talent or interest we may not have uncovered had some life-changing event not forced us to slow down and let it surface. We see the strength and skills available to us only because of a loss we weathered. We see how our hearts have been opened by our grief, and know that our compassion, confidence, and faith are gifts that linger in the wake of our anger and pain. Excerpt from Magic, Miracles and Synchronicity by Dr. Jane Bluestein, Judy Lawrence, M.S.Ed., and SJ Sanchez, M.P.A. © 2009, I.S.S. Publications, Albuquerque, NM. This book is now available on this site at a discounted price and is also available in eBook format. 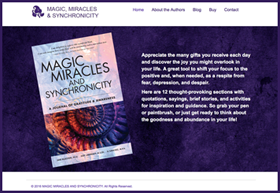 Visit the Magic, Miracles and Synchronicity website devoted to gratitude and appreciation.